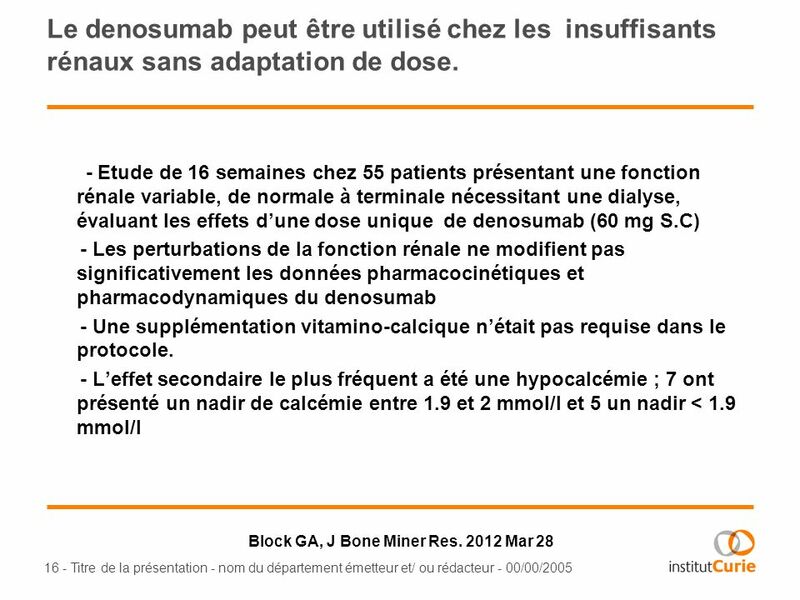 16 Le denosumab peut être utilisé chez les insuffisants rénaux sans adaptation de dose. 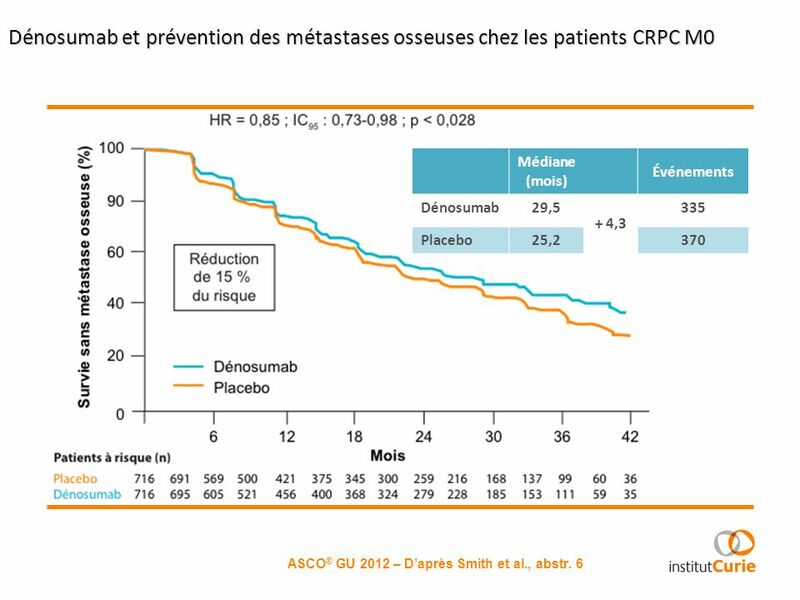 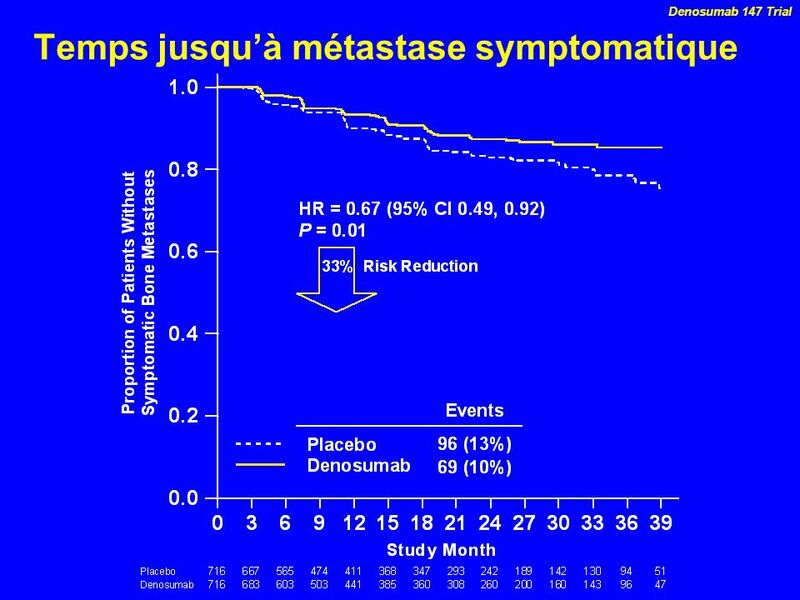 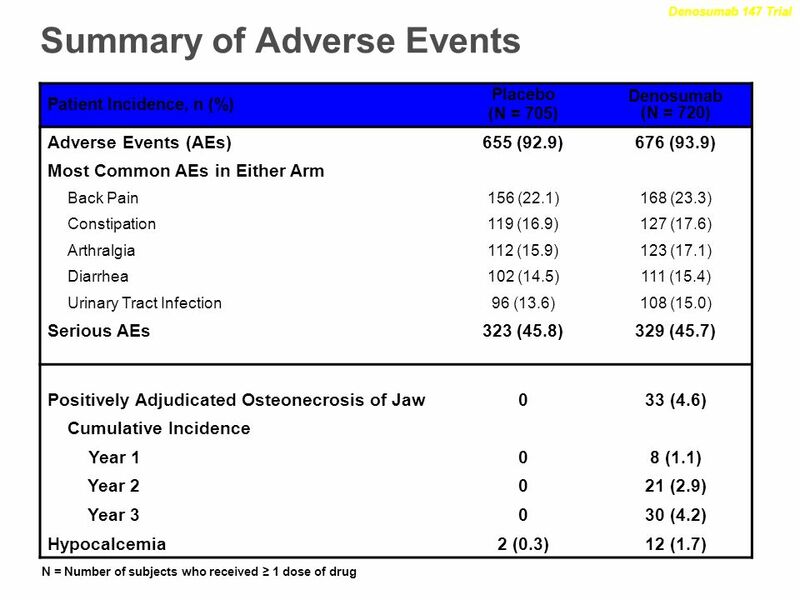 Denosumab 147 Trial Temps jusqu’à métastase symptomatique Of 705 bone metastases-free survival events (total # of events from slide 7), 605 were bone metastases and 100 were deaths. 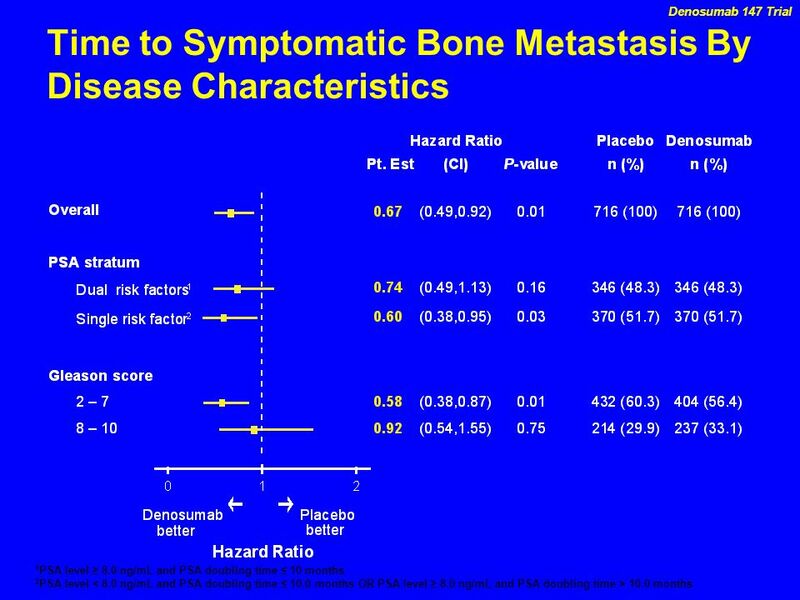 Of the 605 patients with bone metastases, 165 were denoted by investigator as symptomatic (27% of bone metastases). 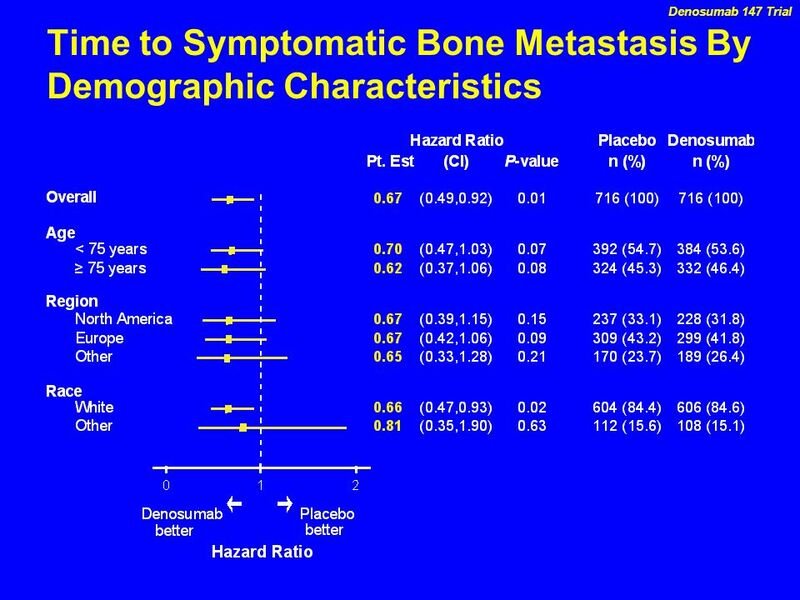 Among all patients (716 per arm), 96 (13%) in placebo arm and 69 (10%) in denosumab arm developed symptomatic bone metastases. 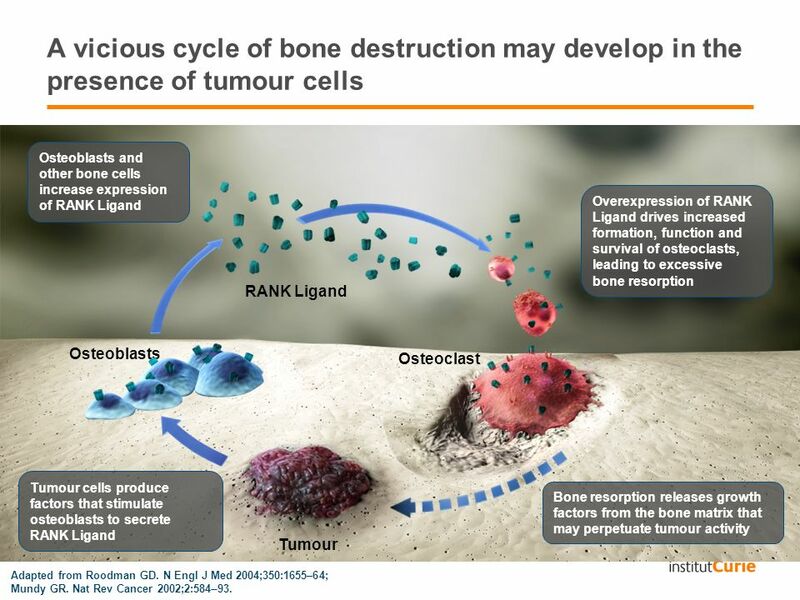 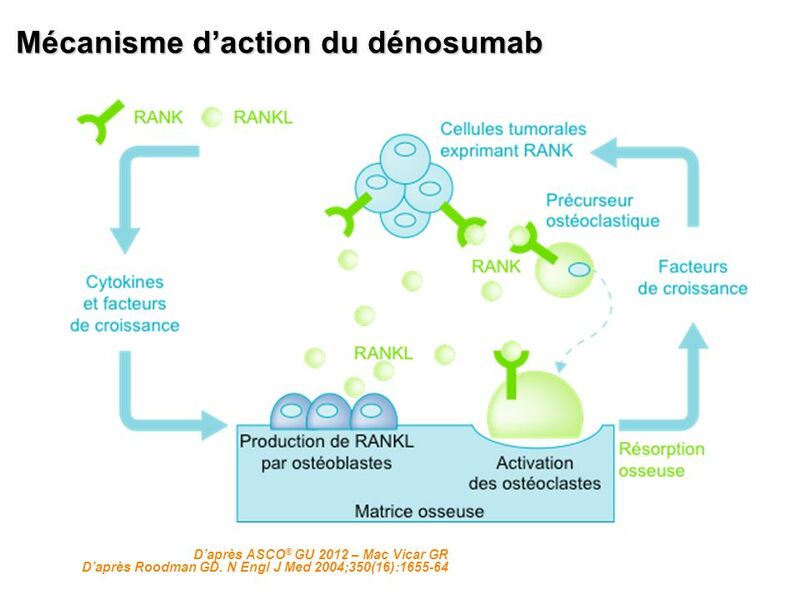 We therefore see a 33% reduction in risk for symptomatic bone metastasis in patients receiving denosumab compared with placebo. 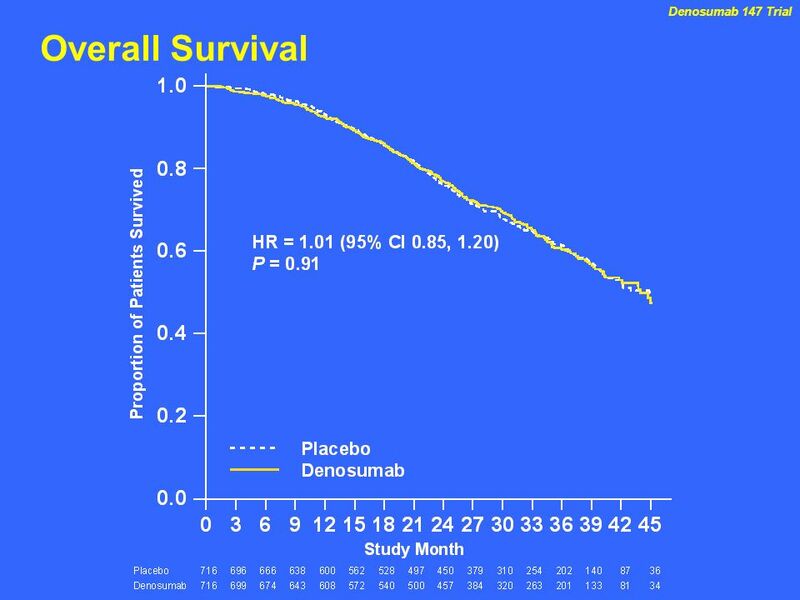 23 Denosumab 147 Trial Overall Survival Note: Overall survival based on both treatment phase and follow-up phase. 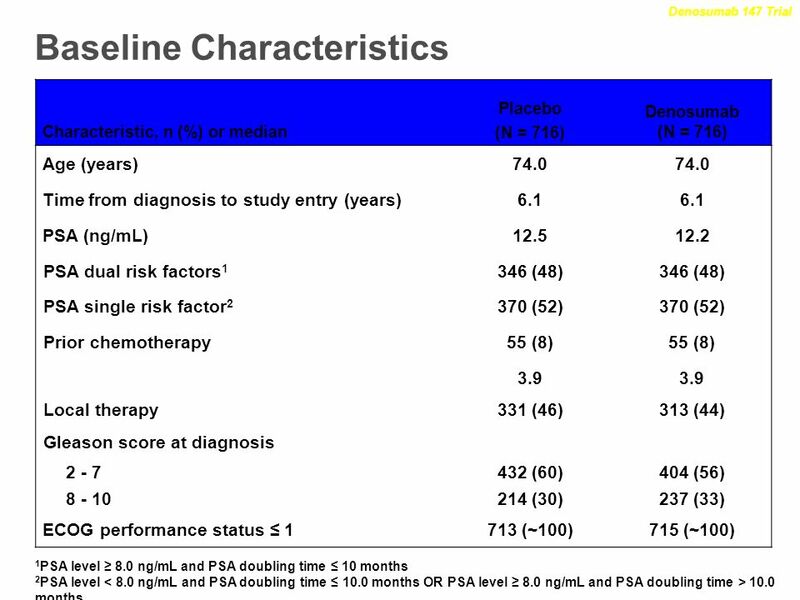 Median OS less then 4 years in both arms. 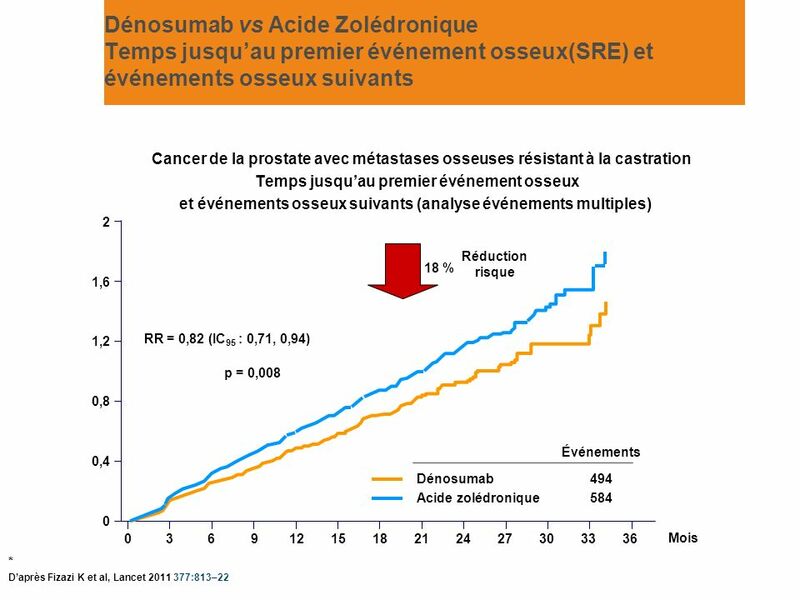 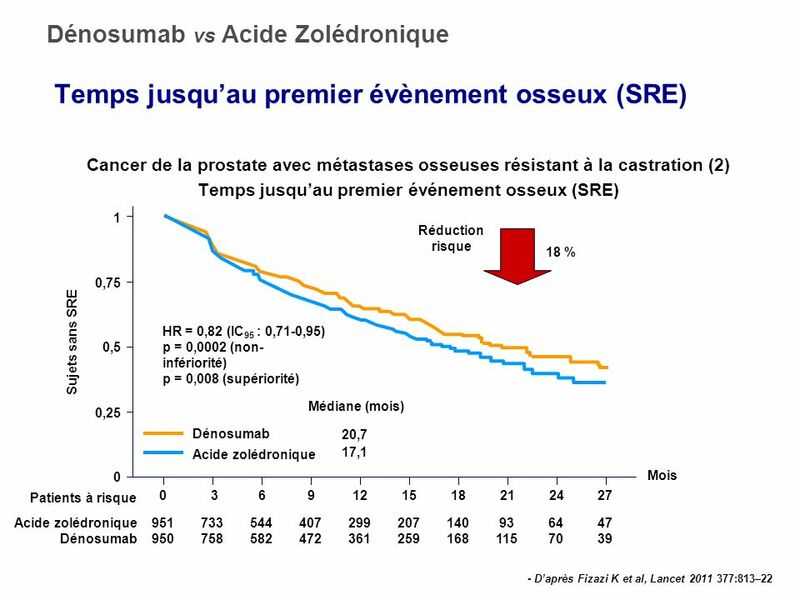 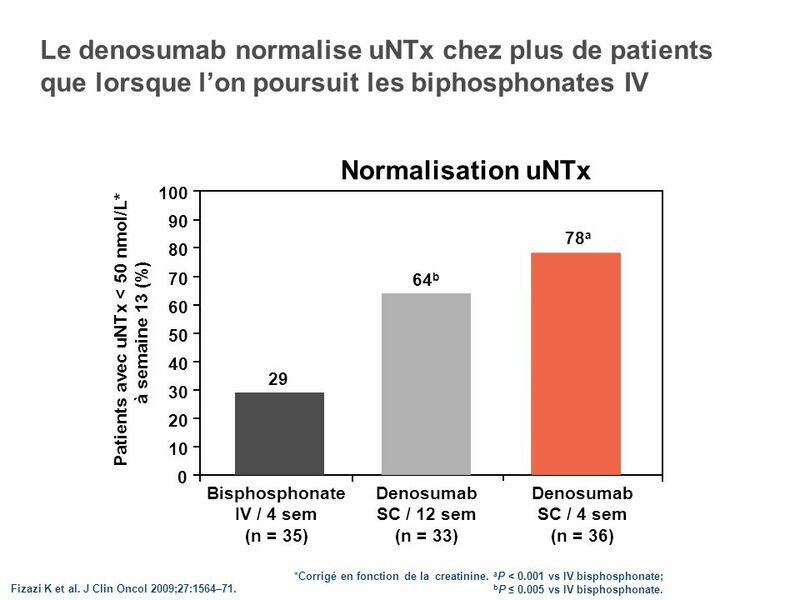 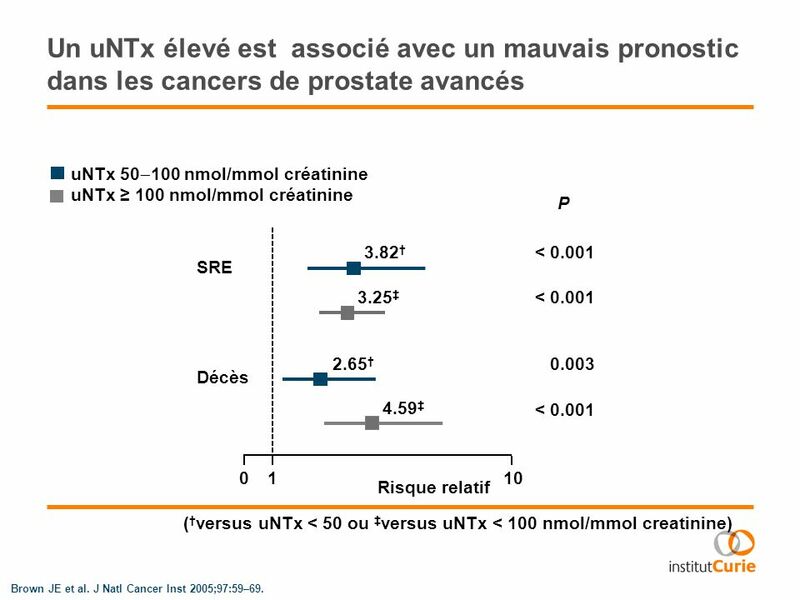 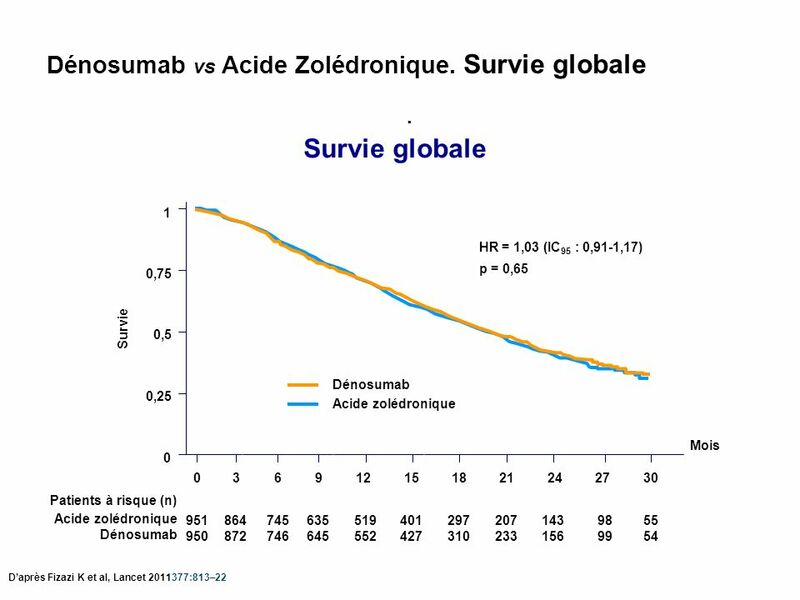 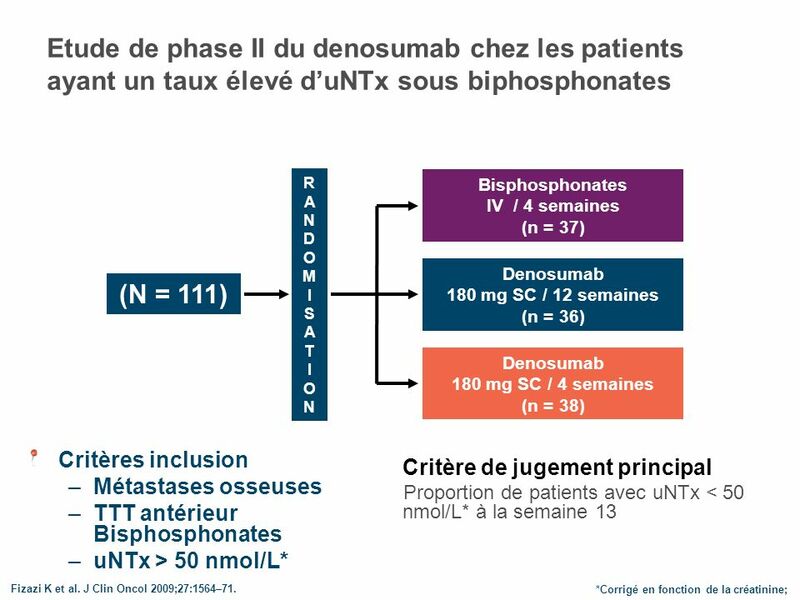 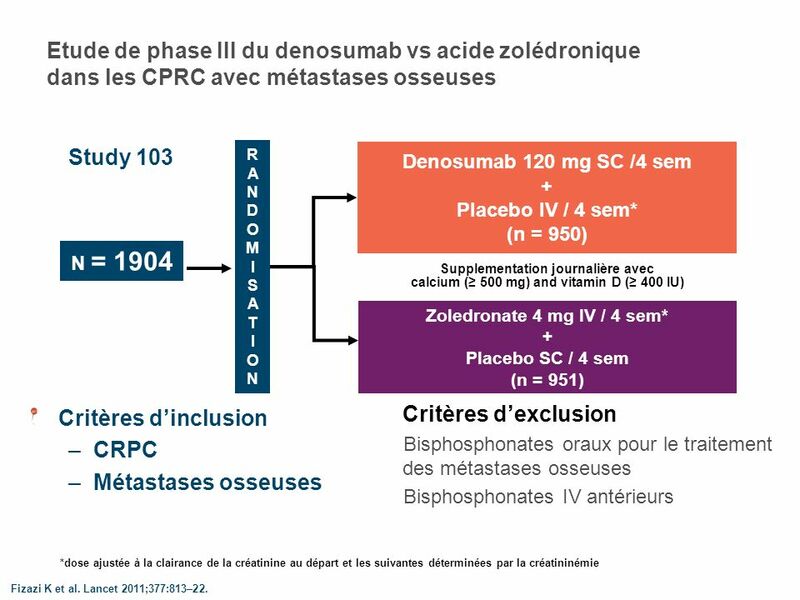 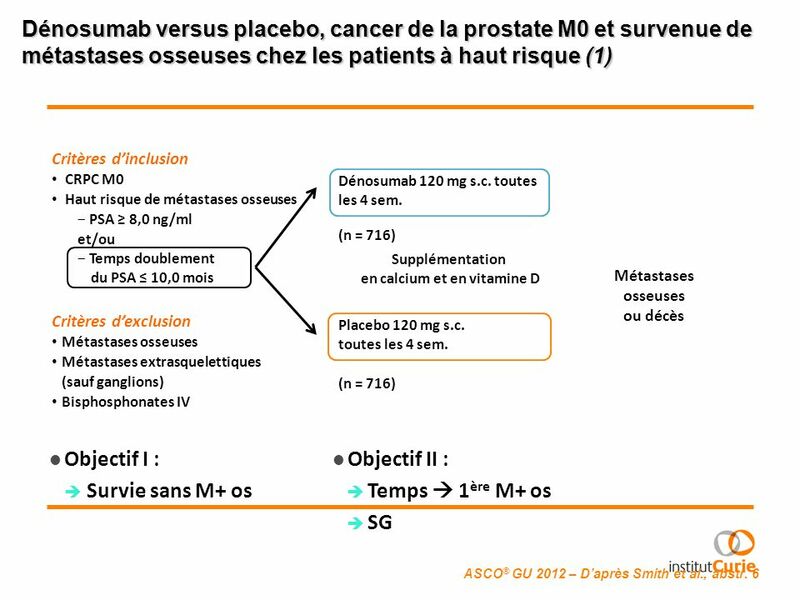 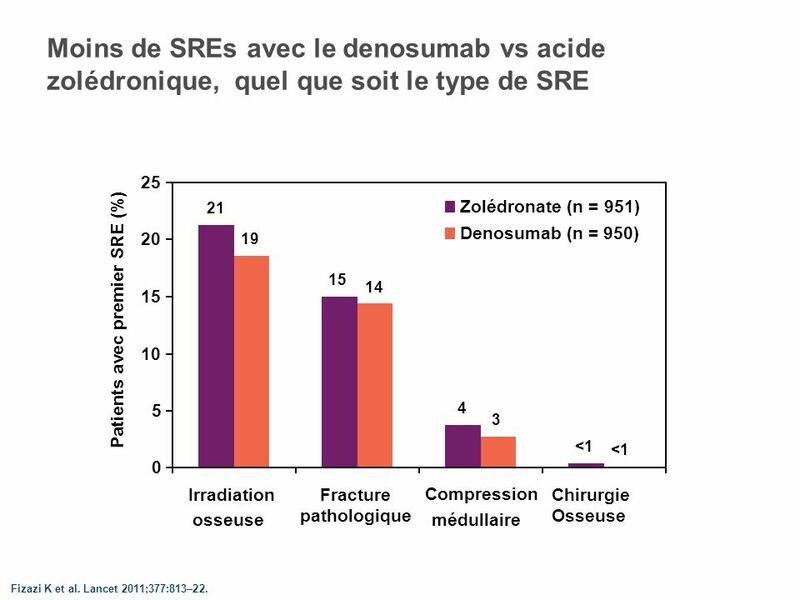 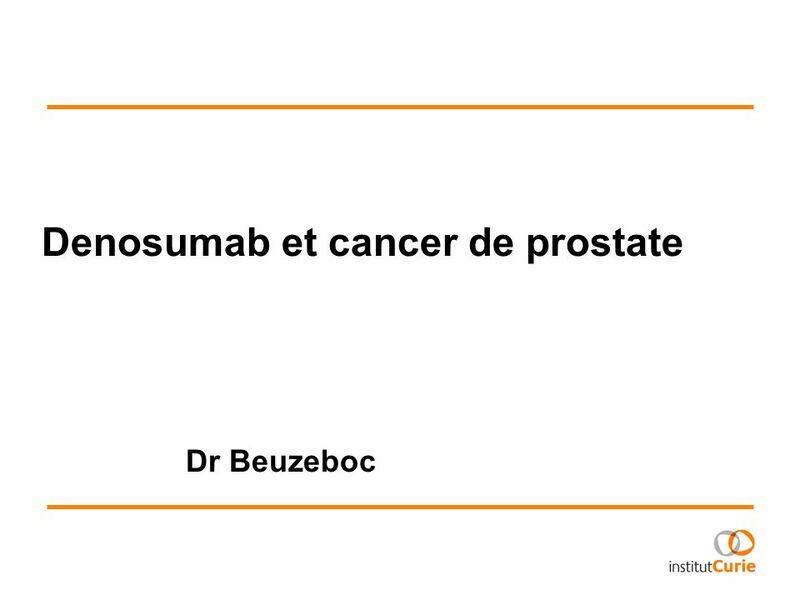 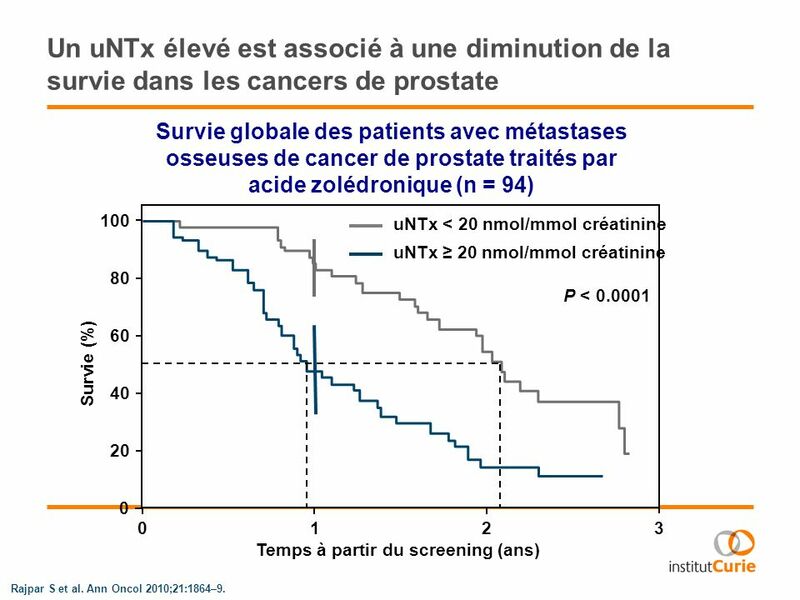 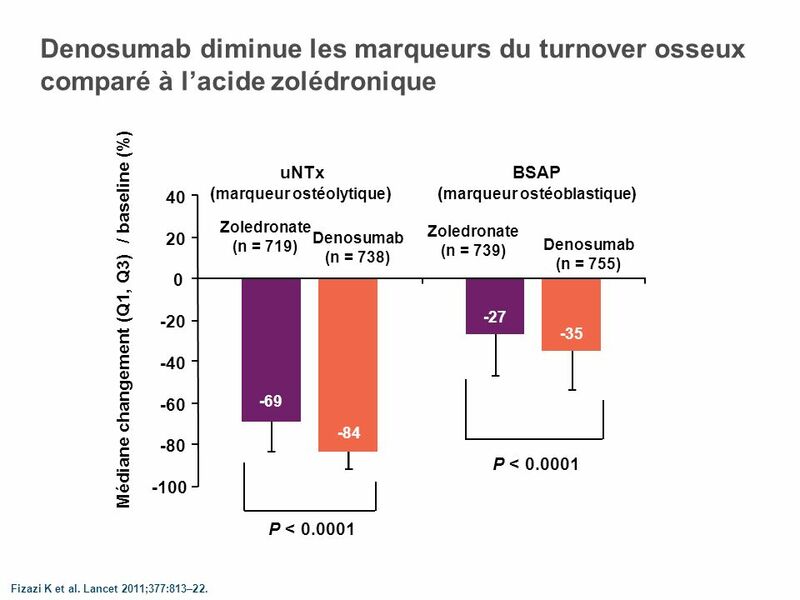 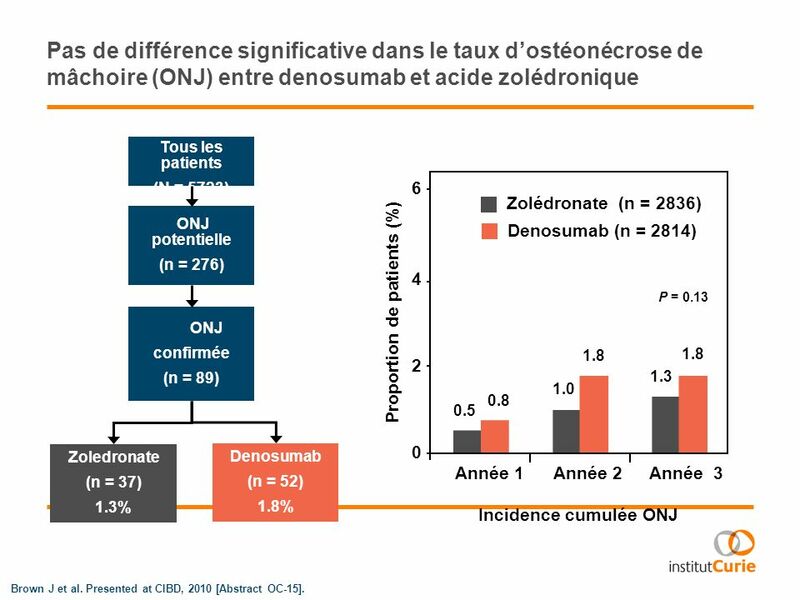 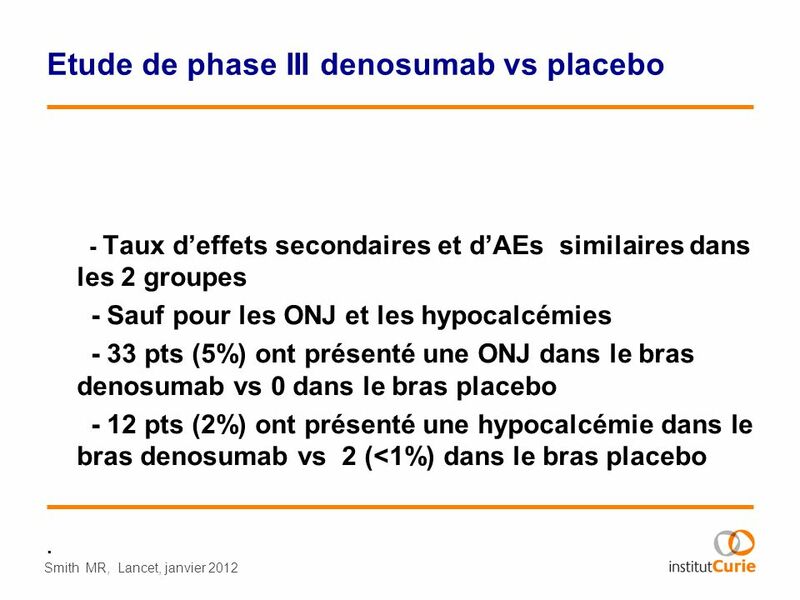 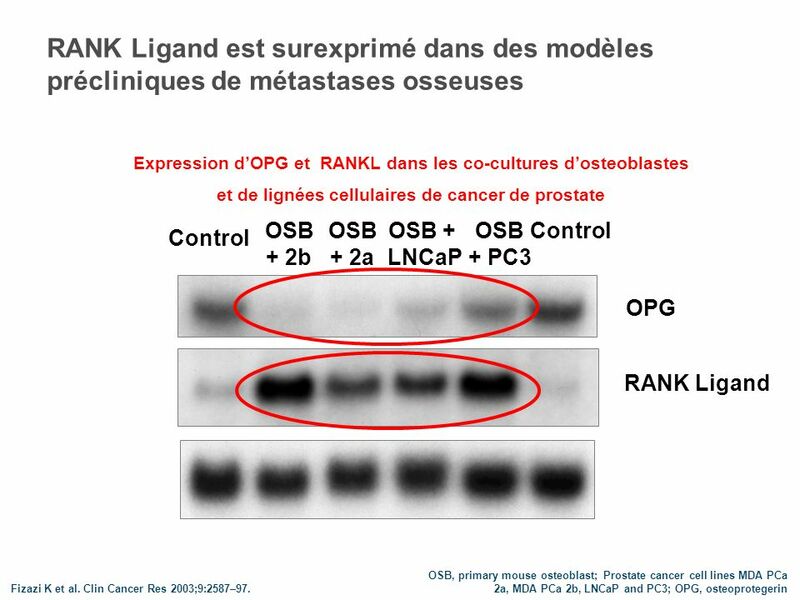 Télécharger ppt "Denosumab et cancer de prostate Dr Beuzeboc"